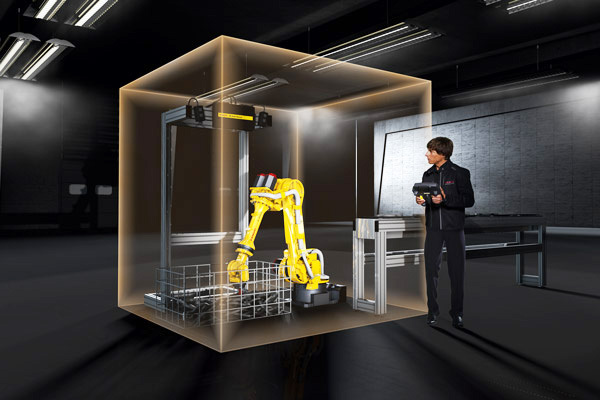 Above everything else, operator safety represents the most critical component of robot cell design. Creating a safe setup can be expensive though and have considerable implications regarding floor space. 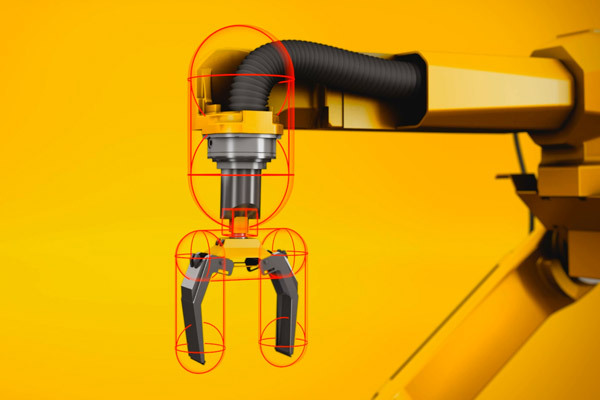 To resolve these two issues, FANUC provides a variety of intelligent safety solutions that keep costs and demands on floor space to a minimum, while keeping operators, robots and tooling extremely safe. 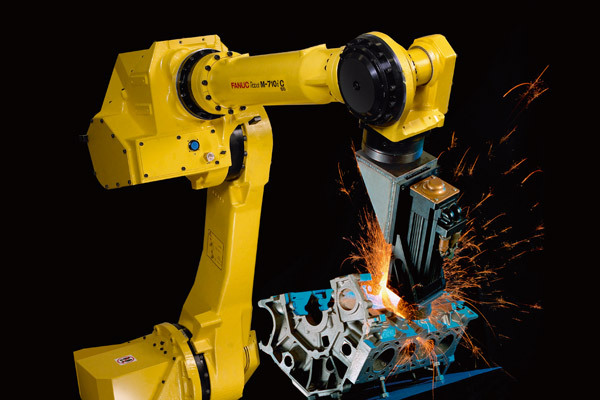 FANUC DCS is a smart integrated software solution designed to keep operators, robots and tooling completely safe. 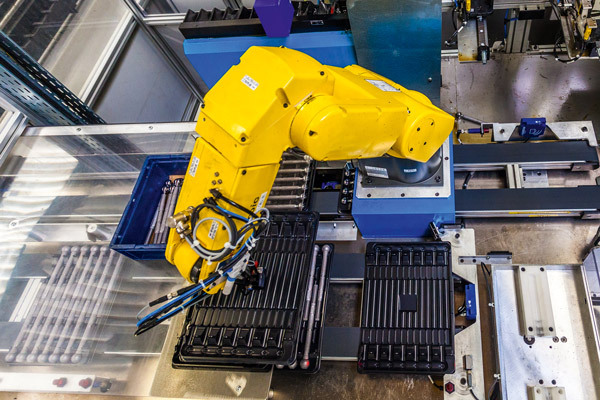 With no need to invest in costly, space-taking safety equipment, it also helps keep the space required for robot cells to a minimum. 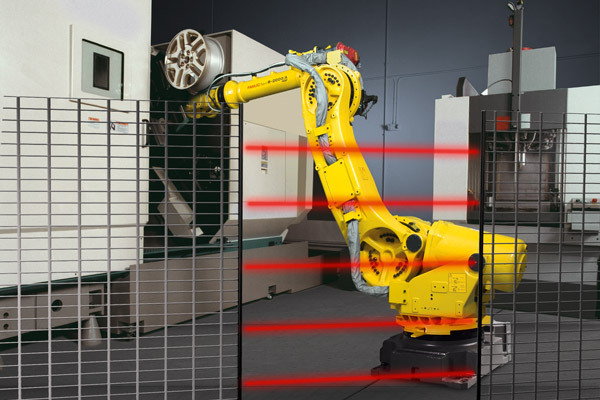 Using FANUC iPendant Touch operators are able to visualise defined safety zones and confirm this from a 3D perspective in front of the robot cell. DCS T1 - Speed Check supervises the robot's speed when in T1 manual safe mode. 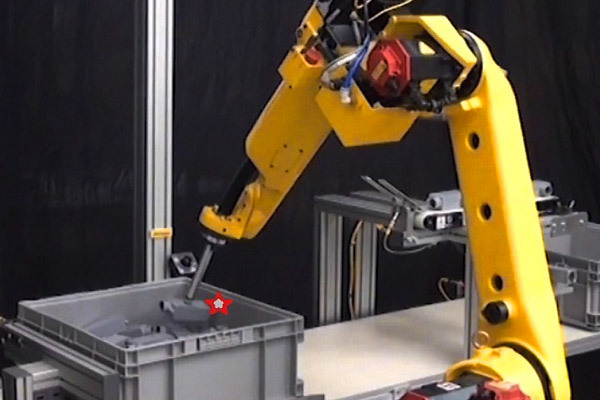 Robot movement is automatically limited to 250 mm/sec. High Sensitive Collision Detection (HSCD) for minimal damage in the event of a collision and optimised cycle times and energy consumption after using payload identification. By reliably supervising operational speed, DCS Joint or Cartesian Speed Check makes for safer setups and working on processes such as deburring, arc welding or sealing. DCS Joint or Cartesian Position Check Safety category 3/Pld position saves valuable floor space and, for the smallest safety zones, ensures operator safety within a 3D defined area of operation.